If your IT department is scrambling to ditch Windows XP before support for the operating system ends next April, the odds are very good that you’ll soon be running Windows 7—and not Windows 8.1, which Microsoft says it will officially release Thursday morning. Why? Because many businesses won’t transition into a new OS unless it has been available for at least a year. Some even wait two years. And with less than six months to go before Microsoft discontinues Windows XP support—and with Windows 8.1 instilling confidence in far too few corporate decision makers—your IT department is most likely beginning to eye Windows 7 as the only viable option. Dell’s Windows 7 push: probably not what Microsoft hoped to see on the eve of the Windows 8.1 launch. All of that should be bittersweet news for Microsoft, which benefits from Windows 7 upgrades but must still lament its Windows 8 problems. When the company released Windows 8 in October 2012, it must have envisioned that businesses would make the leap from Windows XP to Windows 8 within 18 months—and so it set Windows XP to “time out” by the end of that time frame. And even before the launch of Windows 8, that plan seemed tenable, as Microsoft preinstalled 16 million licenses. But then the harsh reality of Windows 8 set in. Consumers struggled with the new OS and its lack of apps, and the poor first impression rippled throughout the retail and enterprise markets. In May 2013, Microsoft released what would be its last public Windows 8 sales numbers, reporting that license sales had reached 100 million. That’s a much bigger number than 16 million, but still a fraction of the some 217 million PCs sold since Windows 8 launched. Indeed, Windows 8 celebrates its first birthday later this month. At this point it seems inconceivable that all of the world’s businesses will migrate from Windows XP to Windows 8.1 (or whatever the latest Windows 8 version is) by April 2014. Windows 8 is clearly facing an uphill battle, but many businesses can’t afford not to upgrade. In April 2014, the world will suffer an “XPocalypse”: Microsoft will cease publishing Windows XP patches, an event that Microsoft calls “zero day forever.” Windows XP computers won’t receive any additional security updates, making them easier targets for hackers. And that’s a scary proposition to any IT manager who’s concerned about the integrity of his or her network. “With only six months to go, now’s the time to start putting your foot on the gas, and get off of XP,” says Jefferson Raley, director of consulting offer development at Dell. That’s the advice he’s sharing with customers. “You really don’t want your last PC to migrate off on April 7,” he says. 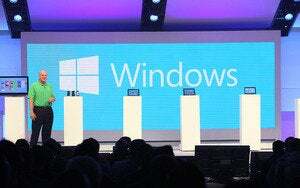 So where will businesses turn, if not to Windows 8? 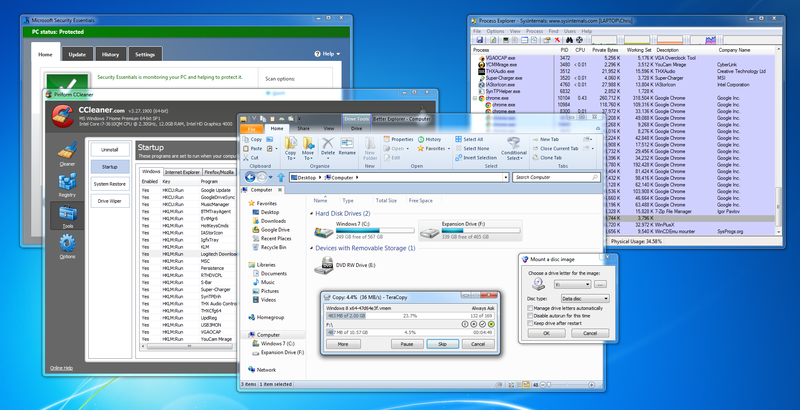 Windows 7 is the escape hatch. It’s impossible to predict the future, of course, but current trends paint a very disappointing picture for Windows 8 adoption in the workplace. Fiberlink, a device management company that helps oversee a million client notebooks, told PCWorld that as many as 98 percent of its client computers have been upgraded to Windows 7, not Windows 8 or 8.1. Meanwhile, of the 479,000 Windows machines tracked by Softchoice from May through September, Windows 7 machines accounted for 41.8 percent of its base, while just 0.2 percent were running Windows 8. “Most of the migration is from XP to Windows 7,” says Dell’s Raley, simply. Actually, the most vocal arguments against using Windows 8 in your workplace have come from consultants such as Gartner, which argued against using Windows 8 from the beginning. In September 2012, Gartner advised businesses to turn to Windows 7, not 8. Then, a month later, Gartner analyst Silver told Reuters that he expected 90 percent of organizations would not deploy Windows 8 broadly. Surprisingly, Microsoft doesn’t mind that your business is more interested in Windows 7 than Windows 8. Part of the company’s strategy is pushing “brand Windows”—Windows of any flavor, as long as it means licensing revenue. And moving customers off Windows XP improves overall PC security as a whole. As of press time, all 27 of HP’s ‘Advanced Desktop PCs’ for business run Windows 7. “Since Windows 8 launched, our guidance to business customers has been to continue Windows 7 migrations that are already in process,” a Microsoft representative told PCWorld in a statement. “We recommend our customers continue these deployments and consider Windows 8 in targeted scenarios where it makes the most sense, such as highly mobile workers. As Windows 8 launched less than a year ago, we are still seeing a lot of businesses completing those planned Windows 7 migrations now. In fact, here’s what Microsoft wants your IT staff to do: Buy a Windows 8-qualified PC, even if it’s currently running Windows 7. The thinking is that eventually we’ll all see the light and demand upgrades. And even if that new IT machine is running Windows 7, it can still take advantage of hardware advancements such as TPM (Trusted Platform Module) for secure boot, UEFI, and BitLocker Drive Encryption. And because that new, Windows 8-qualified PC will feature a touchscreen, it will be ready for business when your company eventually decides to throw the switch. Windows is selling, but which version? 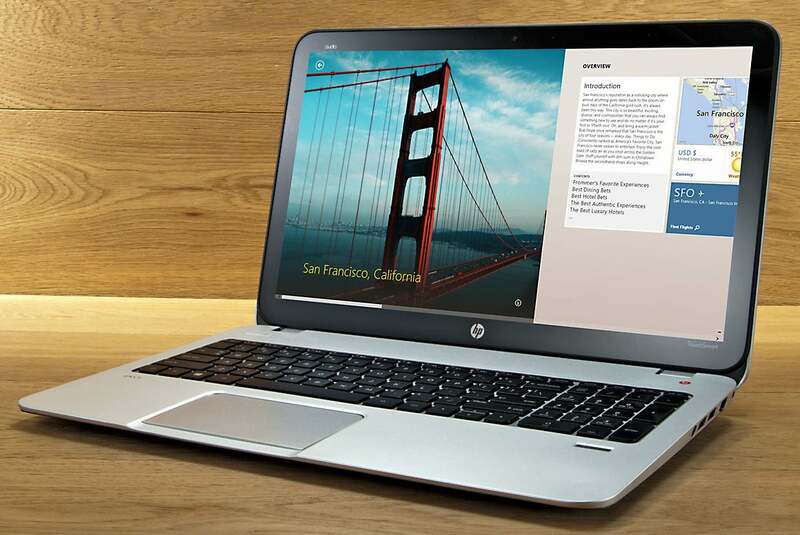 Microsoft can hope that ‘Haswell’ devices such as the HP Envy TouchSmart 15t spur sales. According to Raley and Brown, some businesses will naturally switch to Windows 8.1 as notebooks based on Intel’s latest fourth-generation Core or “Haswell” processors become more prevalent—or if those businesses sign on to use the new second-generation Surface machines. So why hasn’t Windows 8.1 appealed to businesses? The cause goes beyond simple negative mindshare among consumers. Earlier this year, Dell’s KACE management unit said the answer was that customers were suffering from OS fatigue—that Windows 8 is too big of a conceptual leap for most business users. And Brown says that businesses are reluctant to give up the mouse-and-keyboard paradigm that dates back to Windows for Workgroups. “It’s hard to switch to Excel and PowerPoint with your finger,” Brown says. That said, companies that began their transition away from Windows XP really late may want to adopt Windows 8 for a select class of employees: people who work standing up and/or directly communicate with customers. “That’s where you’ll find a lot of value,” Raley says. Is a Surface 2 a necessary tool for a mobile workforce? Some businesses have already adopted Windows 8 for such use cases. Meiji Yasuda, one of Japan’s largest life insurance companies, is shifting 30,000 employes from XP to Windows 8 tablets. And Campari Australia is upgrading its sales and marketing teams from XP and Windows 7 machines to HP ElitePad 900 tablets running Windows 8. But tablet shifts don’t necessarily signal a pro-Windows message, Dell’s Raley notes. Instead, your management may be interested in simply shifting the company to a mobile platform—with no real preference for Windows over iOS or Android. 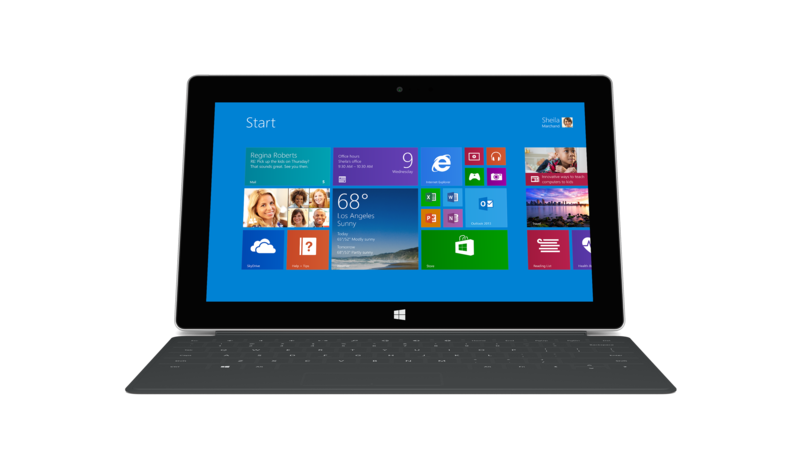 Microsoft’s numbers indicate that customers are still buying Windows. In fact, the company’s commercial licensing business is showing signs of strength, growing from $8.3 billion to $10.1 billion (see chart below). But which version of Windows do these “commercial” customers prefer? 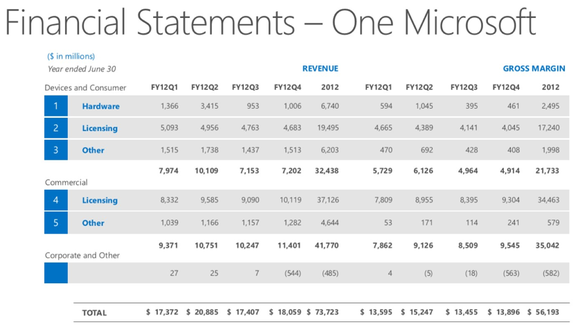 The answer isn’t clear in any of Microsoft’s financial reports. 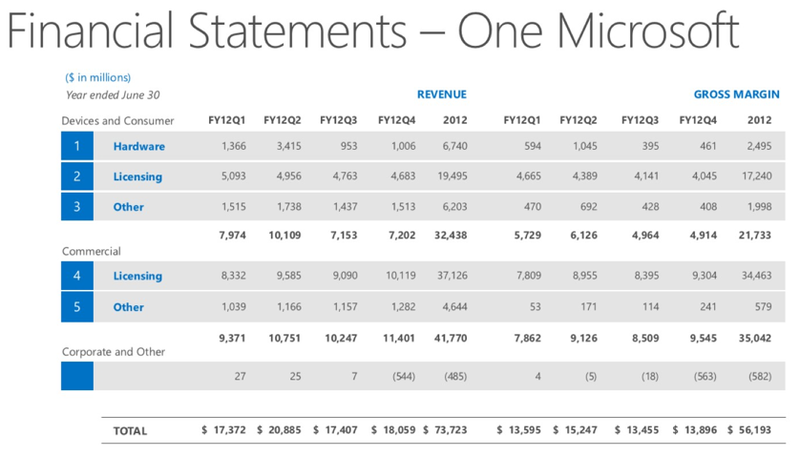 A breakdown of Microsoft’s revenue structure. Maybe so. 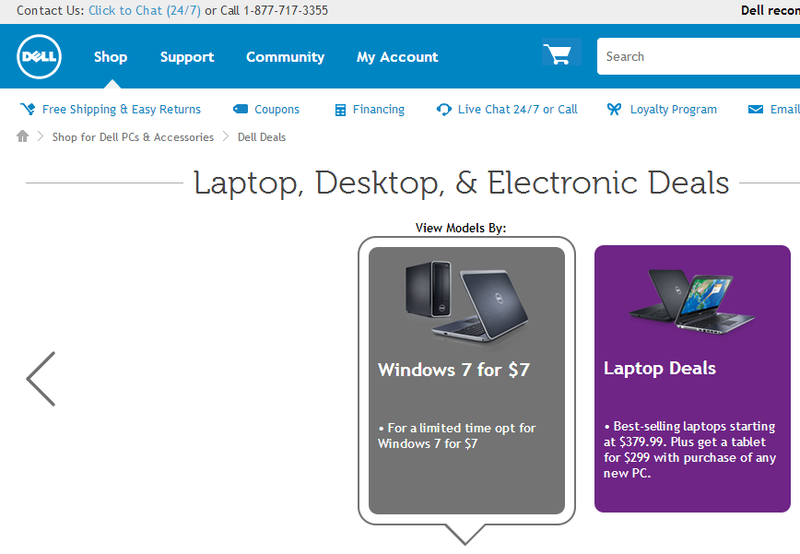 But for now, neither businesses nor consumers seem all that interested in buying a Windows 8 PC. Will they change their tune? Or will Windows 8, like Windows Vista, be the OS that businesses skip over? Right now, it certainly looks like Vista redux.